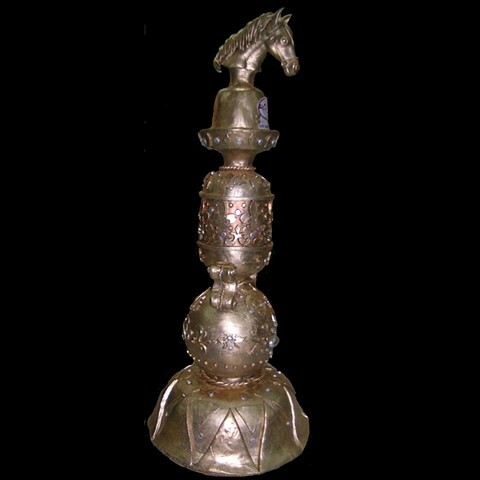 The "Horse Trophy " was made in wax. This work was sent to Italy to be modeled in wood ( in a smaller size). A plaster mold was made of the wooden trophy, which was then cast in 22 karat gold with a Malachite base.